Most people have had a bad dream otherwise known as a nightmare. Dreams have been studied from the perspectives of psychoanalysis and neurosciences but researchers have not been able to determine the purpose of dreams. The continuity hypothesis theorizes that dreams reflect your life experiences while awake. In other words daytime problems continue into night time dreams. 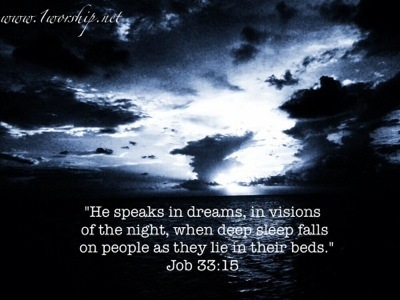 (1) Are dreams just random memories keeping the brain active during sleep or could some dreams be divine messages from God sent to warn us? Quite often a bad dream can involve falling from a height. Through deception people fall away from the Lord (2 Thess 2:3) but remember from where you have fallen and repent. 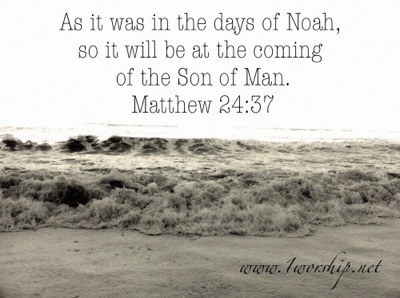 (Rev 2:4) Another frightening nightmare that occurs frequently is being chased by someone but when you seek the Lord he promises to deliver you from all your fears. (Psalm 34:4) A third common dream type can include a school examination as in a test situation. (2) The Lord examines us to test our hearts and minds (Psalm 26:2) so prepare yourself by obeying God’s Word and don’t follow your dreams unless they lead you closer to the Lord. We are living in an ever changing complex world. Every day we need to make a multitude of decisions. Many people are struggling with the burden of working full time while simultaneously pursuing higher education. An uncertain economic future further adds to the stress as people compete for a limited number of employment opportunities. 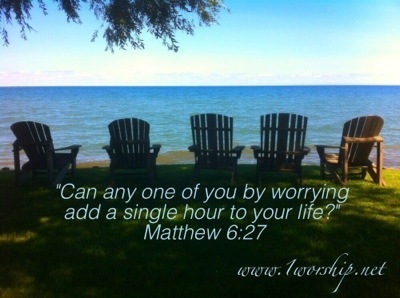 Life is so busy it seems to pass us by but the decisions we make now greatly impact our future. No person can know the future but God knows our future. A Psalmist prayed so long ago “teach me to do your will, for you are my God; may your good Spirit lead me on level ground,” (Psalm 143:10) and this still stands true today. The Lord as the Good Shepherd wants to lead everyone of us into that specific green pasture that will provide all of our needs. The green pasture is that place where we will find peace as our soul is fed the life sustaining nourishment of God’s Word. This place is called the Church which gathers all believers who have made the life changing decision to lie down and rest in Christ Jesus our Lord. Americans are too sweet. In the year 1820 the average American consumed only about 20 lbs of sugar annually but today Americans consume an incredible 130 lbs of sugar annually. That’s about 3 lbs of sugar every week. Over a lifetime this is enough sugar to fill an entire dumpster. The American Heart Association recommends consuming not more than 9.5 teaspoons of sugar daily but the average American adult consumes 22 teaspoons everyday. One 12 oz can of soda alone contains 12 teaspoons of sugar. Even the Bible says that “it is not good to eat too much honey.” (Proverbs 25:27) The problem is that refined sugar has no nutritional value and contributes to the development of obesity, diabetes, headaches, nervous tension, depression, and vascular disorders. What is even worse is that sugar is as addictive as cocaine. (1) The good news is that we don’t need the sweetness of this world because we can “taste and see that the Lord is good.” (Psalm 34:8) The cravings of our stomach will never be satisfied but the righteous eat to satisfy their soul. 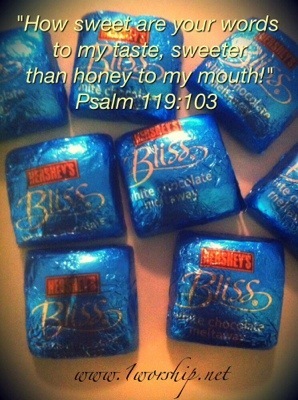 (Proverb 13:25) So the next time we want something sweet open a Bible and taste the sweetness of God’s Word. Winter is here and it is wise to keep warm. One of the first body regions to feel the cold is the hands. They are located further from the body’s core and easily become cold if they are exposed to the frigid temperatures. To keep the hands warm some prefer the greater independent finger mobility offered by a pair of gloves, while others favor the warmer atmosphere inside a pair of insulated mittens. 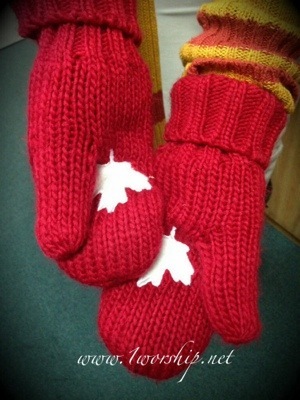 Mittens are hand coverings enclosing the four fingers together and the thumb separately. Mittens are warmer than gloves made of the same material because fingers maintain their warmth better when they are in contact with each other although some individual finger mobility is sacrificed. God requires his people to be unified in the warmth of his love but often individualism can cool relationships down resulting in competition and eventually division. The Bible urges us to “always be humble and gentle. Be patient with each other, making allowance for each other’s faults because of your love. (Ephes 4:2) “How good and pleasant it is when God’s people live together in unity!” (Psalm 133:1 NIV) May all believers warm up in loving contact with one another for complete unity in Christ Jesus.